Committed to providing compassionate Fort Lauderdale, Florida Home Health Care with excellence, assisting seniors to live the highest quality of life with dignity and independence in their own home. The Principals of our company personally meet with each and every new client. This allows us to accurately assess your needs and gives you the opportunity to get to know us. This is one of the reasons that we are so successful in making the best possible match between client and caregiver. Please allow us the opportunity to introduce ourselves and assist you to customize a unique program to meet your needs and to ensure your Loved Ones Comfort & Dignity. We always offer an unlimited compatibility warranty and will replace the Caregiver at any time upon the clients request for whatever reason. We can assist with any special home care needs such as coordination of medical equipment, hospital beds, wheelchairs, walkers, etc. Our Hands On approach is One of a Kind! Achieve your wellness goals through our attention to detail. Kindness: We pride ourselves in caring for your loved ones like family. Round-the-clock care in the home, hospital or facility. who can answer all your questions. 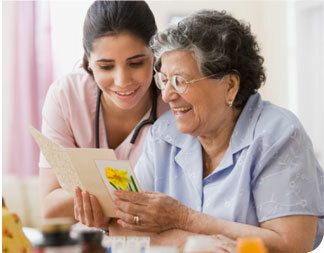 Full service home care serving Fort Lauderdale. Providing CNA, certified nurse assistants, home health aides, HHA, senior companions, caregivers, at home care, in home care, in home assistance, in-home care, care giving, dementia care, respite care, jewish care, hebrew care, care giving, caregiver, elder companions, alzheimers care, alzheimer’s care, Fort Lauderdale care, parkinsons care, parkinson’s care, caregiving, long term care, shalom care and home care.